With its towering volcanic mountains, sweeping coastline, and gaping geothermal pools, vapor billowing from their mouths, Iceland's landscape is in a word, magic. It's unsurprisingly the cradle of life for a number of sagas and folktales that have provided base for many of today's modern fantasies. When traveling the island however, those tales become seemingly less fantastical. 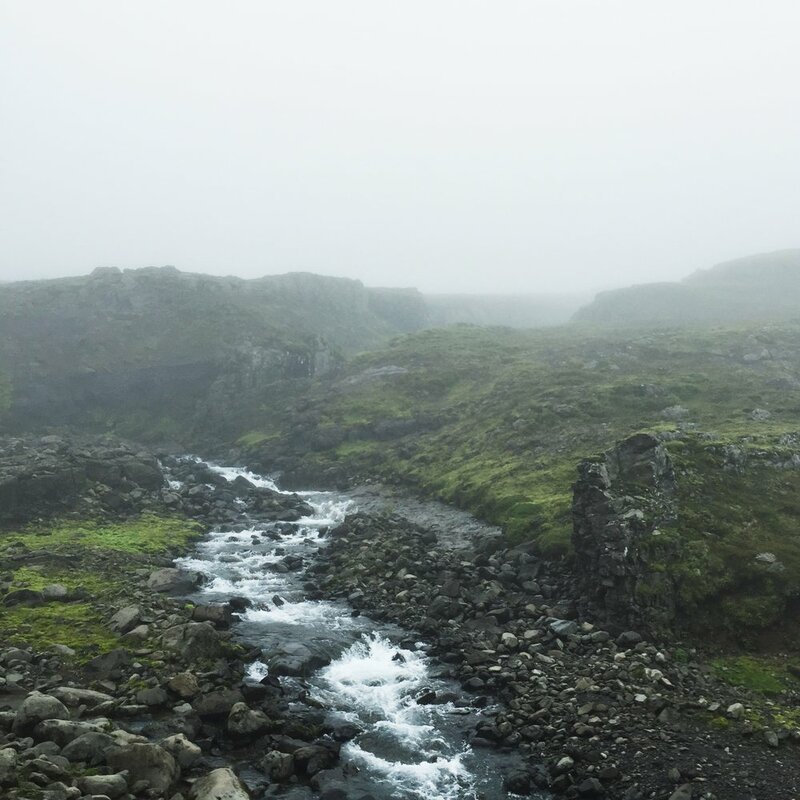 Teasing out what is Icelandic history and what is folktale becomes more and more difficult, and one finds herself peering around bends looking for elves or ogres. This is because they cannot be teased apart, they are one. Nearly every location on the small island is the site of a bloody scene in a saga, or home to the Huldufólk, Iceland's elf populace. Find this fine line between reality and fantasy underlying the following photos. Arnarstapi is a small village on the west coast of Iceland, and the setting of a saga about Bárðr, a viking fisherman who was half-man, half-ogre. After a lifetime of strife, murder, and sorrow (it's a saga) he retreated into the mountains and grew into the glacier on Snæfellsjökull, becoming a spirit of the ice. He now watches over the village and the fishermen, warning them of storms and danger from the heights above. The Icelandic sheep have been living in isolation on the island since they were brought over by the first settlers 1000 years ago. As a result, they are genetically unchanged, and the oldest breed of domestic sheep in the world. Just south of the volcano Katla, named for a witch who causes the eruptions. Katla is expected to erupt in the coming years and cause significant melting of the Mýrdalsjökull glacier that sits atop it. The ghostly Icebergs at Jökulsarlón - this massive lagoon is Iceland's deepest lake and is only 80 years old. It is the result of the Breiðamerkurjökull glacier's rapid retreat as it melts and drops icebergs into the lagoon. 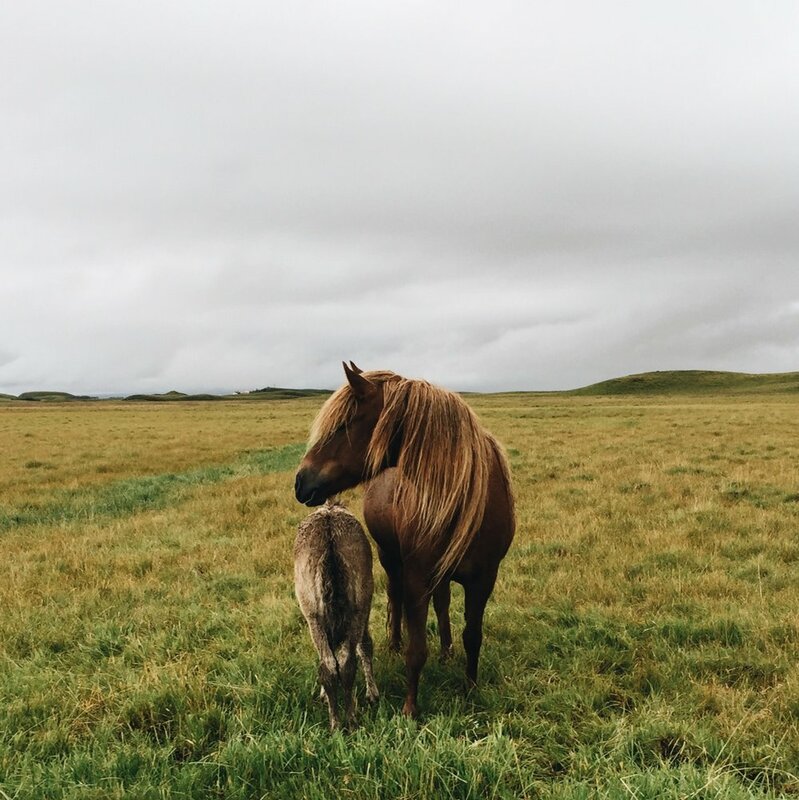 A common sight in rural Iceland, many empty farms and country schools dot the roadsides. Much of Iceland's population today has fled the more remote pastoral lands and settled in the cities. The sagas and poems describe the Valkyries as female warriors who chose the fates of men in battle. 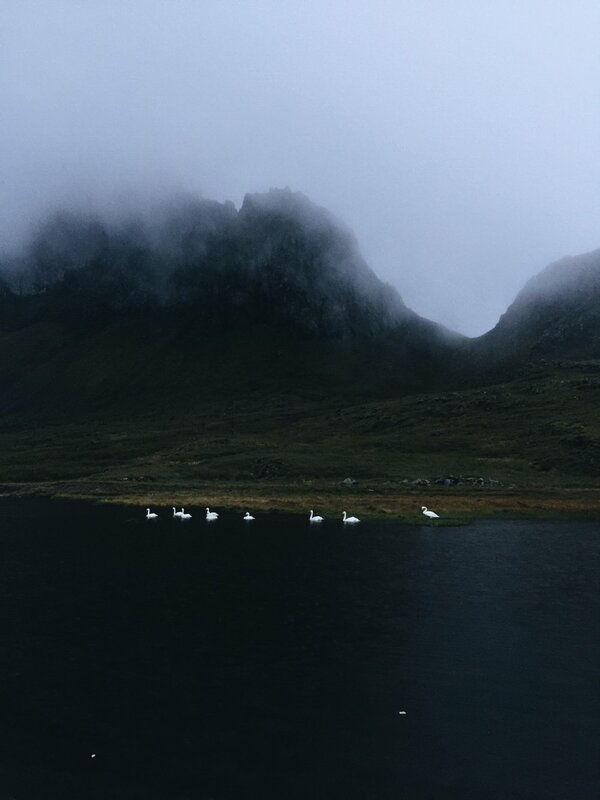 Early viking settlers believed the swans were these maidens in animal form, visiting the island to heal themselves by bathing in the mineral rich waters of the hot springs. Iceland's largest forest, it is mostly populated with the native birch tree, an impressive feat of restoration considering Iceland's history. When settlers arrived on the island 900 years ago, over 40% was covered in forest. Over time as people needed to make room for sheep and create structures, the forest population was decimated to a low 1% of the country's area. 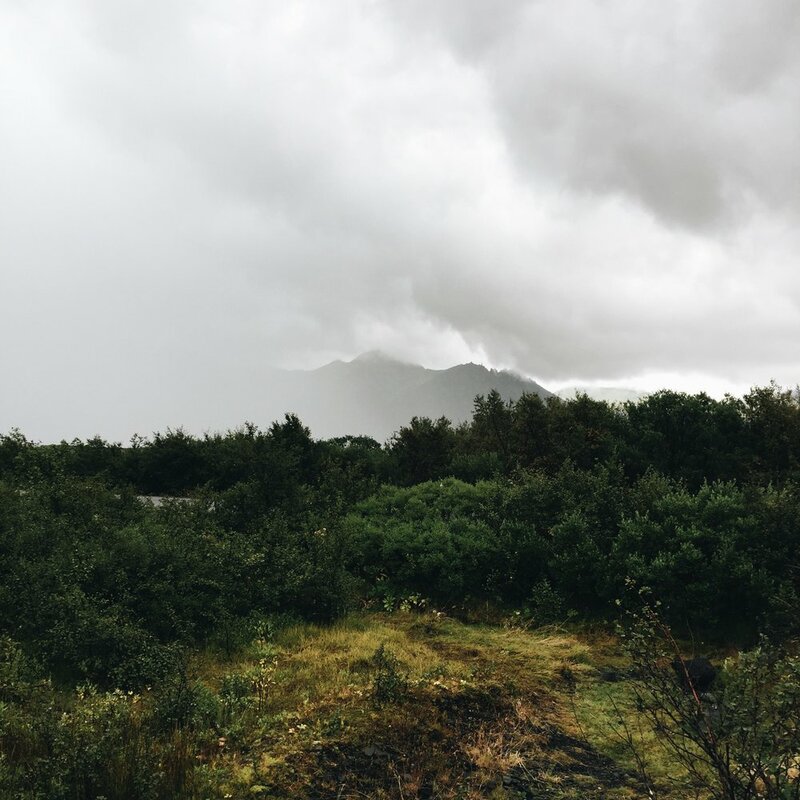 In the early 1900's efforts began to preserve and restore Iceland's forests, and today Hallormsstaður is a thriving wonderland of trees, sweet berries, and wild mushrooms. She said her name was Katla. 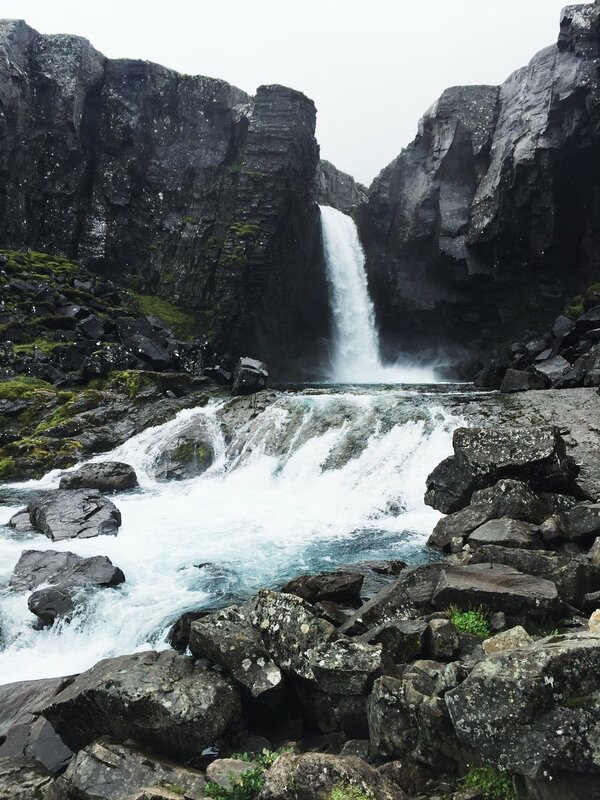 Glymur is Iceland's 2nd highest waterfall, only having been dethroned in 2011 by a newer waterfall of glacier runoff. From here the river Botnsá flows down to the fjord, making its way to the ocean.